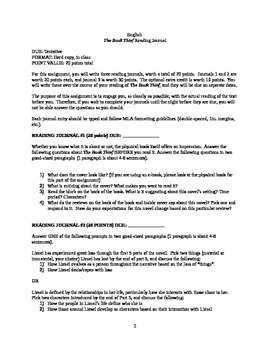 This assignment includes three separate journal assignments which students complete as they read the novel and the plot progresses. This teaches them responsibility as they have to keep up with the reading and journal prompts on their own according to the due dates. There is also an optional extra credit assignment included for post-reading.